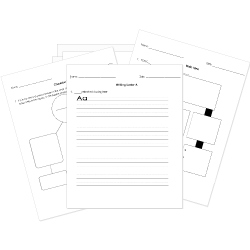 You can create printable tests and worksheets from these Grade 11 A Lesson Before Dying questions! Select one or more questions using the checkboxes above each question. Then click the add selected questions to a test button before moving to another page. How does Grant insult his aunt? Why do Vivian and Grant have to be so secret about their relationship? Why did Grant refuse to go to the trial? Why does Grant only teach 1/2 a year? How many people got killed in the robbery? Who is Henry Pichot's brother-in-law? What is Grant upset about at the bar? Did Grant go an take his aunt and Mrs. Emma to Mr. Pichot's house to talk? Who is mad at Grant for going to Bayonne? Mr. Wiggins gives a lick to a student for getting a problem wrong. Where is Grant's school located? What does Miss Emma ask Mr. Henri to do? What were the boys up to when they walked in the liquor store? What is Miss Emma to Jefferson? Who sent for Grant because Mr.Sam was coming at five?